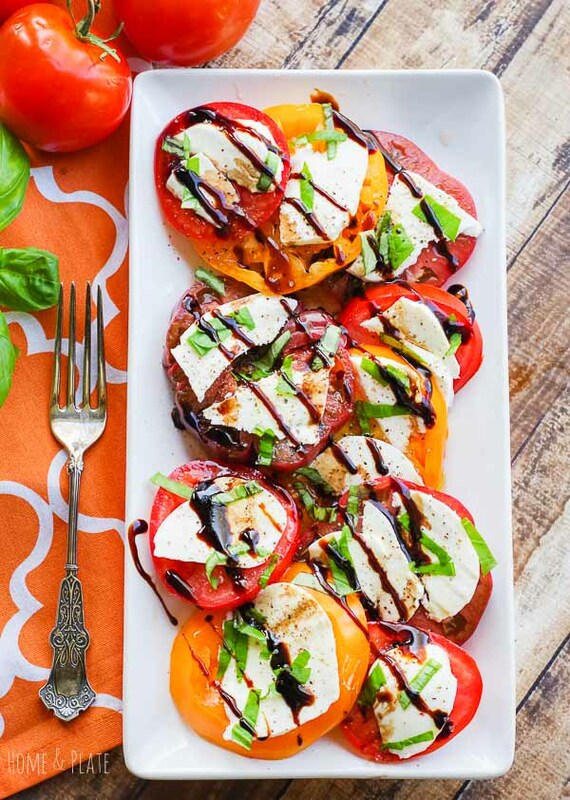 A drizzle of homemade maple balsamic vinaigrette turns an ordinary salad into something special. I had the pleasure recently of creating this salad for an athlete dinner. It’s still the middle of winter but that doesn’t mean it’s hard to find fresh fruits and veggies in season. 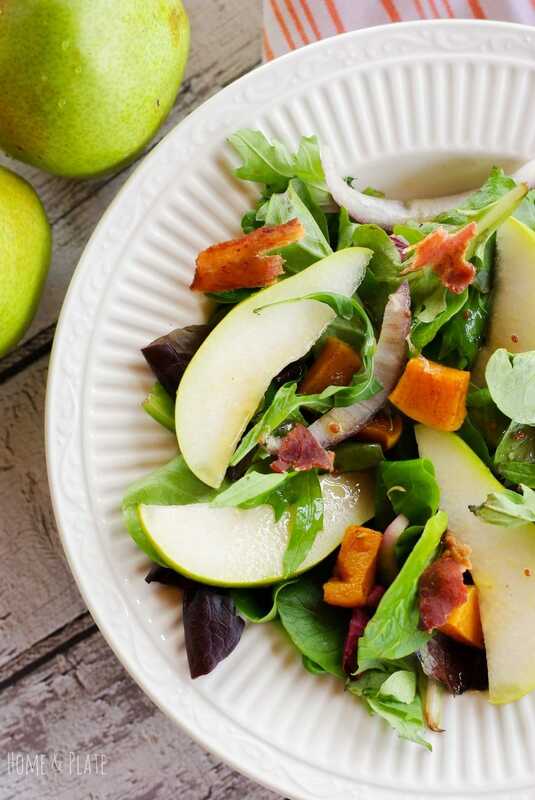 Tis the season for juicy pears and sweet butternut squash. Why not pair the two together over a bed of spring greens, red onions and salty bits of bacon. 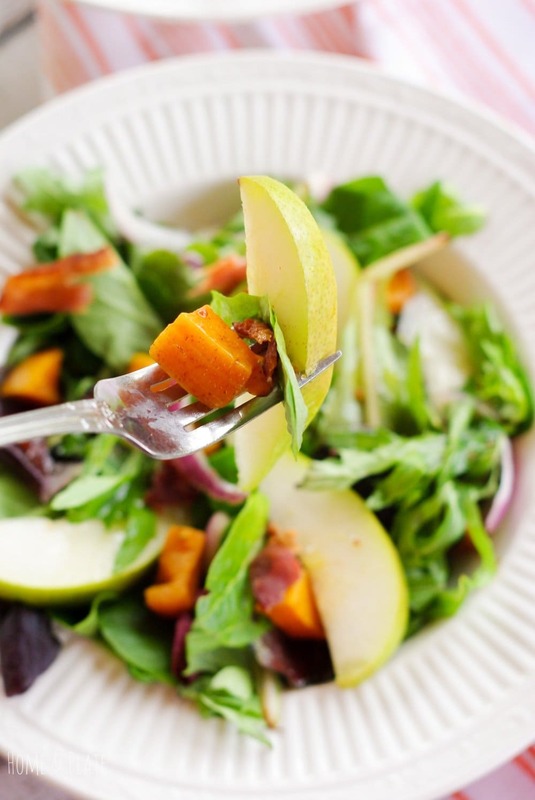 A sprinkle of cayenne pepper and cinnamon add sweet heat to the butternut squash and the maple syrup added to the vinaigrette pulls the salad together. I’ve always thought butternut squash is too sweet as it is. But adding salty and spicy ingredients creates a perfect balance. I use that balance in a favorite butternut squash side dish that I love to serve during the holidays with roasts or turkey. Be sure to check out that recipe. You can find butternut squash in the grocery produce department during the fall and winter months. Check out this handy guide on how to prepare and cut butternut squash for use. It’s a cheap gourd and a medium-sized squash easily yields 4 to 5 cups of cubes. Rather not? Sometimes I cheat and buy butternut squash cubes pre-packaged and ready to go in the refrigerated section of the produce department. Either way, It’s a simple salad that’s a change from a traditional veggie salad. Preheat the oven to 400°F. Spray a foil lined baking sheet with cooking spray. In a medium bowl combine the butternut squash, 1 tablespoon of the olive oil, the cinnamon and 2 teaspoons of the cayenne pepper. 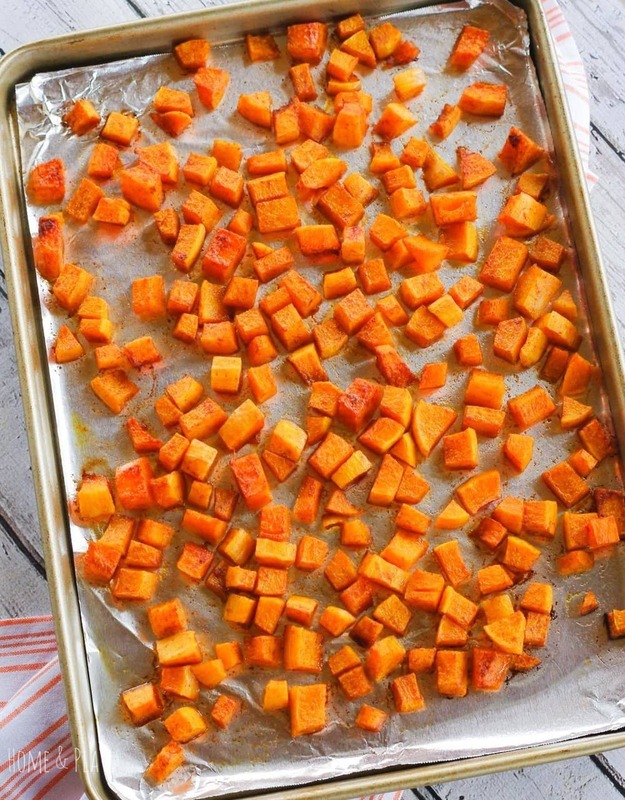 Toss well to coat and spread the butternut cubes on the baking sheet. Bake for 25 to 30 minutes or until the cubes are soft. Next, whisk together all the ingredients for the vinaigrette. Set aside.Fill a bowl with the salad greens. Add the onion, sliced pears, butternut squash cubes and crumbled bacon. Serve with the vinaigrette. Salty and sweet with a kick. 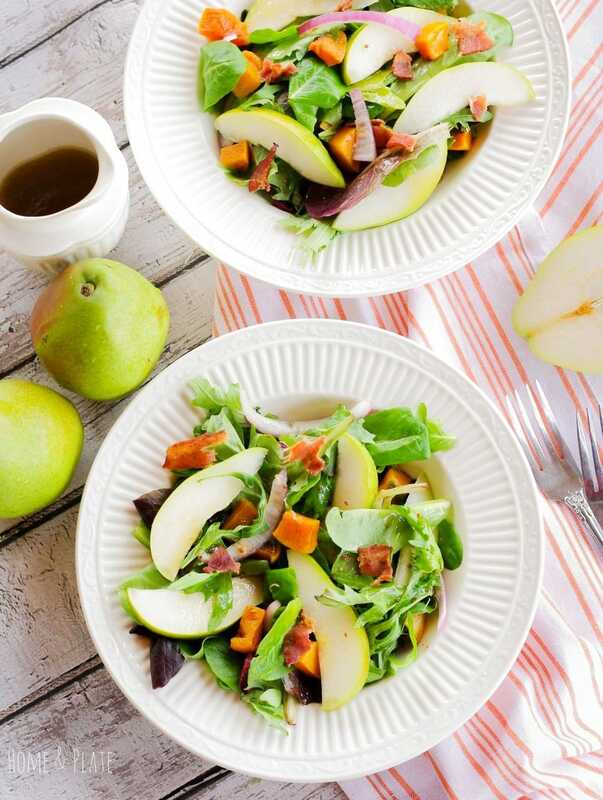 This pear and butternut squash salad is a favorite winter side dish and it's perfect for lunch or any holiday get together. This looks great. I could live on salads, especially ones this pretty and full of flavor! 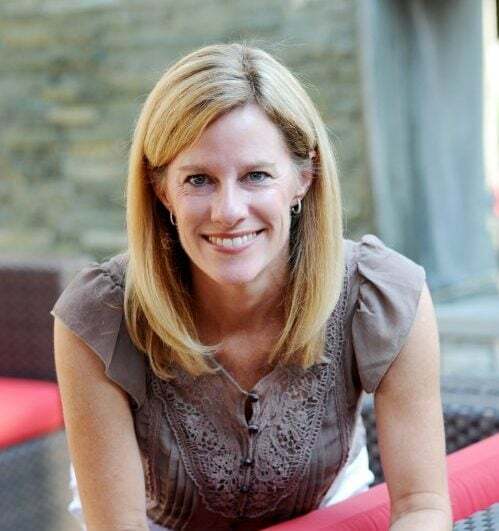 Thank you Debi. I’ve been enjoying lots of salads lately as well. 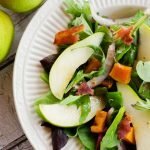 I have always loved pear in salad but never paired them with butternut squash yet. Sounds so yum. Must try soon. I was pleasantly surprised how well the squash in the pair work together. I’m sure you’ll love it. Thanks so much. I love pear and butternut squash together. This is a lovely seasonal salad. 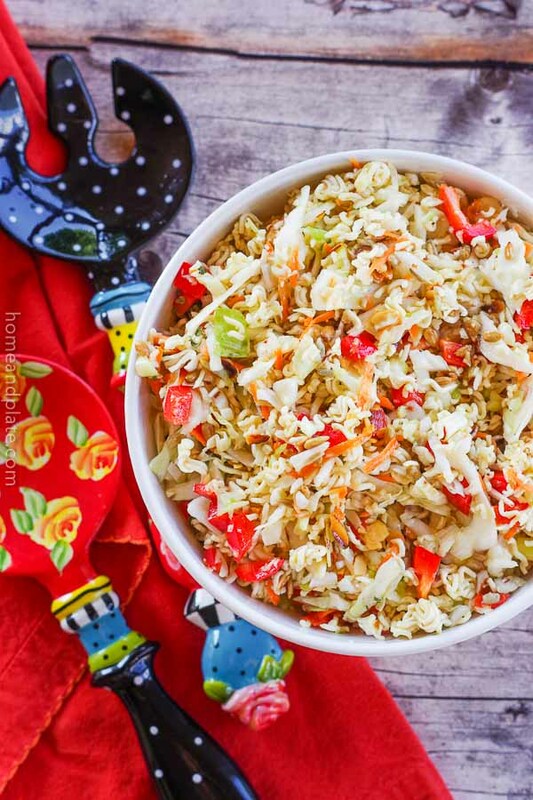 I love the combination of sweet and spicy that you have going in this salad. 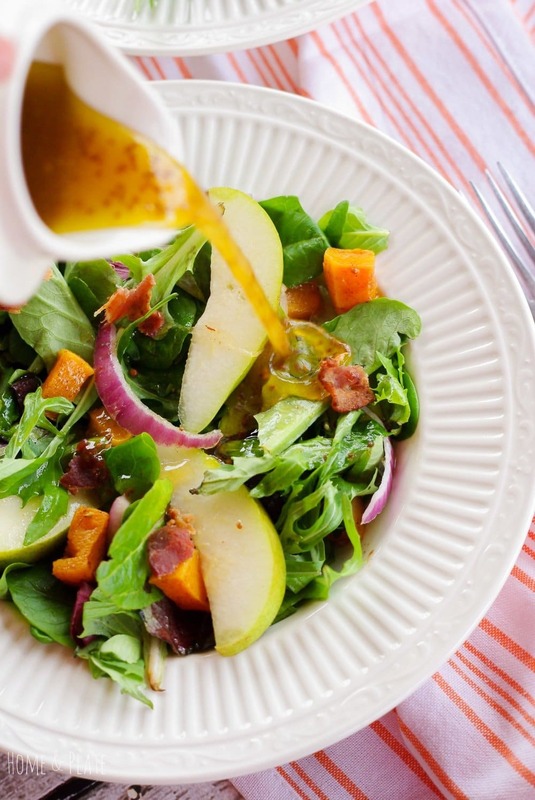 The cayenne with the sweet butternut squash and pear, and then the maple vinaigrette. What a beautifully-flavored dish this must be! Thanks Amanda. There is certainly a lot going on with the salad in terms of flavors. Sweet and spicy and delicious. Bulky salads like this are the best and I really like the sound of that maple balsamic dressing. I’ve been eating a lot of them lately. Love experimenting with all the different flavor possibilities. Thanks for visiting.